MERCED, Calif. — As he walks to class at the University of California, Merced, Freddie Virgen sees a sea of faces in various shades of brown. He is as likely to hear banda corridos blaring out of his classmates' earphones as hip-hop. With affectionate embraces, he greets fellow members of Hermanos Unidos, a peer support group for Latinos that is one of the largest student organizations on campus. In the decades since a ballot measure banned affirmative action in California's public institutions, the University of California has faced persistent criticism that it is inadequately serving Latinos, the state's largest ethnic group. The disparity between the state's population and its university enrollment is most stark at the state's flagship campuses: at University of California, Los Angeles, Latinos make up about 21 percent of all students; at Berkeley, they account for less than 13 percent. But at Merced, the newest addition to the 10-campus University of California system, about 53 percent of the undergraduates are Latino, most closely mirroring the demographics of the nation's most diverse state. Merced has yet to hire the star faculty found at other U.C.s and has a much smaller graduate program. The college does not attract the state's top-scoring applicants when it comes to test scores and grade-point averages. Eligible students from California who are rejected from other University of California campuses are often funneled to Merced, which offers them a spot even if they have not applied. But more than 90 percent of those students rejected the offer, according to a 2016 state audit. Still, many Latino students are attracted to the campus, and many professors and administrators in the system are working to ensure their success. And whereas other campuses are situated near the state's big urban centers, Merced sits in the middle of California's Central Valley, a vast agricultural region that has long been one of the poorest and overlooked parts of the state. In the early 2000s, state leaders focused on opening a campus there to serve a region that lagged far behind in educational attainment. 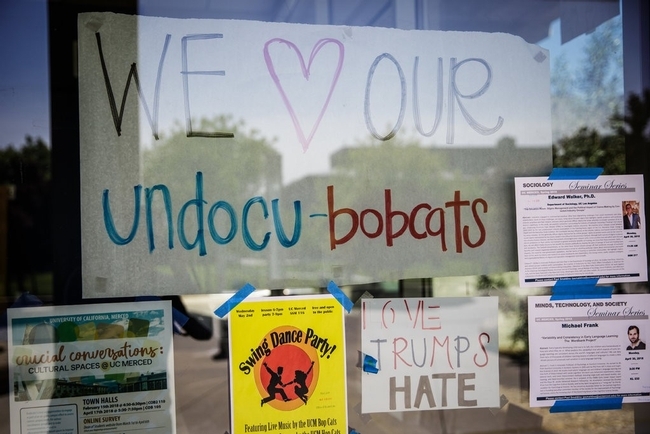 Earlier this year, the College Republicans set up a table on campus with signs that said “I love undocumented firearms” and “Ice Ice Baby,” referring to the acronym for Immigration and Customs Enforcement. There was also a phone number posted for students to call federal immigration authorities. But in her sophomore year of high school, Ms. Acosta was recruited to an Upward Bound program, run by Merced to help high school students get into college. She spent several nights in the dorms at Merced that summer with other low-income students from Fresno, which is about an hour's drive south. Ms. Acosta has struggled to juggle her family life back home with her new life on campus. 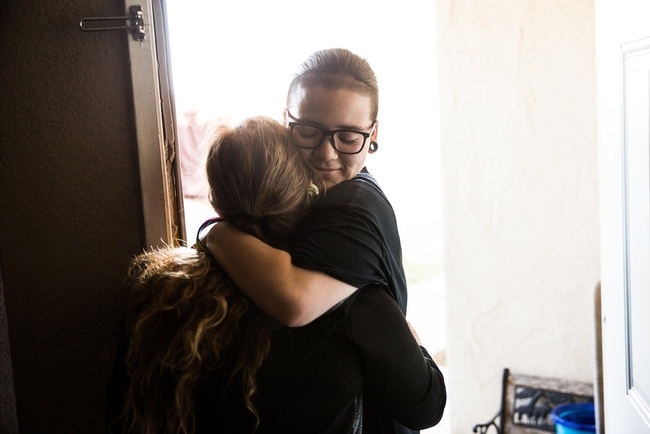 Last fall, after her older sister was sentenced to several months in jail, her mother was often lonely and depressed, so Ms. Acosta felt obligated to visit. But Ms. Acosta struggled to stay on top of her school work and ended up nearly failing a course in math and had to repeat a writing class. By the spring semester, Ms. Acosta, who is majoring in management and business economics, told her mother that she could visit only once every two weeks for a night at a time. Source: Published originally on www.nytimes.com, You've Heard of Berkeley. 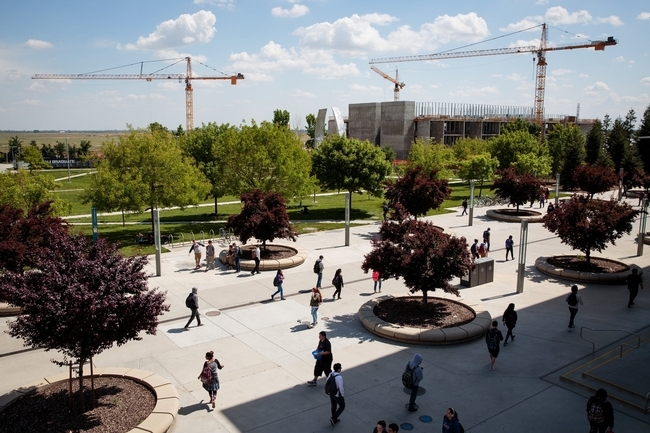 Is Merced the Future of the University of California? by Jennifer Medina, July 19, 2018.